After speaking to GESER and RATH a bit, now it´s time to have a quick chat with BACON from Toronto, read the interview after the jump! I write Bacon and I started writing in the early ‘90s in Toronto, Canada. I remember seeing walls by oldschool writers and wanting to do the same and never looked back. 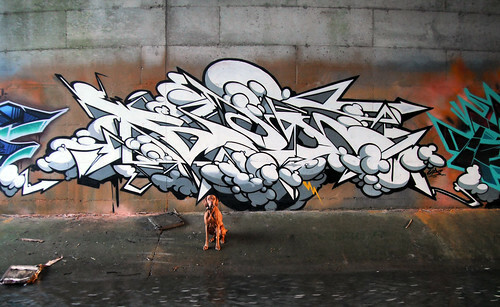 What does it mean to you to be a graffiti writer? I think it means a lot of different things to many people and has meant different things to me in different stages of my career. I write simply because I love it. I like style and that everyone can have thier own. How´s things in your neighborhood? Is graffiti kind of accepted in the public or is there a graffiti tolerance? Toronto has a love/hate relationship with graffiti. Most people here still believe the government can’t tell them what they can have on their walls, even though the new Mayor tried to clamp down with silly laws that try and interpret what art is. The culture is alive and well here and doesn’t look like it’s going anywhere. How do you feel about Graffiti and its development these days? Do you feel a big difference to back in the days and also between Graffiti in Europe and Graffiti in the states for instance? I really like some of the graffiti being done these days from all over the world. Some serious talent out there. things have changed a lot for sure but the importance ofstyle and originality are still relevent. The internet has made the world a much smaller place. Lately it’s been grey. Stone grey to be precise. I don’t know it just seems to blend so well with almost any colour. But ask me this same question in a month and you will get a different answer. 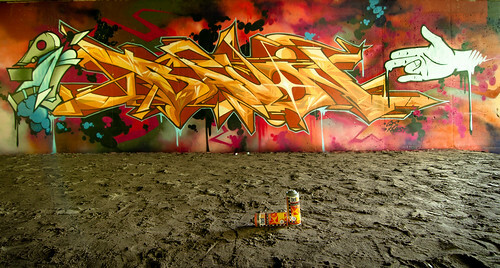 Do you believe in a carreer as a graffiti writer? I mean, you want to earn money with what do you do on walls? I don’t see why not. Everyone needs to make money. I never got into graffiti for the money and still just prefer to paint. But I won’t turn down a good paying job either. I thinks it’s the people who call themselves writers that make money off the culture that upsets some people. What´s your vision, is there a dream that have to come true one day? Not sure. Seriously I’m just floating down the river. I want to explore style and play with paint and maybe one day I will paint something worth looking at when I’m long gone. Sponsoring and support by brands is a big thing these days. Do you think that helps the artist? Most artists that I know work really hard to make a living, so it’s great that there are brands like Molotow out there to give support. Anything that we can expect from you in the near future? I’m usually all warmed up this time of year and hope to be painting as much as I can before the snow comes. Allways feels like the clock is ticking when summer starts to wind down. Anything to add? Last words? Just wanted to say thanks to my friends and family and all the dope writers out there inspiring me.